You all know I love a good suspense, and Dani Pettrey's newest series is off to a great start. Still Life is number two in the group and I just finished it. Here's a short blurb and we'll chat on the other side! Dani Pettrey knows how to write a good romantic suspense. I loved her "Alaskan Courage" series and was incredibly excited to dig into this one. However, when Cold Shot debuted, I was left slightly let down. I still loved the book, but it wasn't quite what I expected. Now digging into book two in this series I find I'm warming to the change of pace. The "Chesapeake Valor" series leans even more toward an ensemble cast with shared screen time than her past books. The pacing is slightly different than "Alaskan Courage" series, but that isn't a bad thing. In fact, I'm finding it a good thing. It's just enough of a difference to keep things fresh while maintaining Pettrey's voice. In Still Life we revisit Avery Tate and Parker Mitchell. They've realized their attraction--one we all picked up on in book one--but aren't quite sure what to do about it. Avery was ready to build a relationship with Parker, but he wasn't able to let go of his first love who'd died. Yet he knows he's come to care for Avery. Pettrey does a wonderful job of writing Parker's struggle and moving him forward while also making Avery patient yet strong. These two are well matched, and I loved seeing them on page together. They are definitely a couple you'll root for. The suspense and twists in this book were very well done. For some the subject matter at times may borderline creepy, but as one who gets creeped out easily, I found it never quite got as dark as it could. Pettrey balanced that darker story with enough light to keep you turning pages rather than setting the book down. My only complaint was the ending seemed slower paced than it could have been. While twists were revealed, they seemed to lack any heart-racing moment. Still, this is definitely a read you'll want to add to your shelf, especially as Pettrey manages to take the on-going back story to another level, feeding the reader just enough information to keep you sucked into the mystery that will no doubt span this entire series. All together I've come to really enjoy this series. While one couple is high-lighted in each book--their story is told and they receive their HEA--this is very much a bigger cast series. The page time is split with other POVs as Pettrey has done in the past, and there's evidence that something much bigger is going on in the background of this cast's lives. I think the final book is where we'll receive that pay-off. That fact has sucked me in, and I'm eagerly awaiting book number three to continue the ride with these characters. 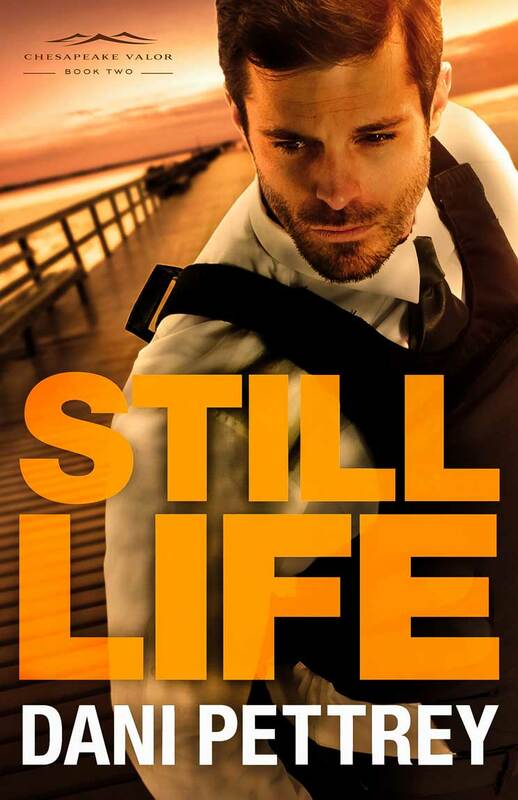 I happily give Still Life 4 out of 5 stars. You can purchase it here. It is a stand-alone, but I highly recommend reading Cold Shot as well if you haven't done so yet. Happy reading, friends!